Now that we’re in peak political season, it’s hard to avoid political advertisements. They’re airing virtually nonstop on television, on the radio and all over the Internet too. All these ads may blur together to us, but in the eyes of the law, they’re very different. That’s because Internet ads are not subject to regulation by the U.S. Federal Election Commission (FEC) in the same way that TV and radio ads are. The rules – or lack thereof – make it easy for shadowy groups to make big investments in political campaigns without having to disclose where that money came from. That loophole is currently a source of much debate at the six-member FEC. The Hill is reporting that the three Democrats on the committee are currently pushing a change to the rules that would extend its regulatory power over online ads – a change that the three Republicans on the committee are resisting. 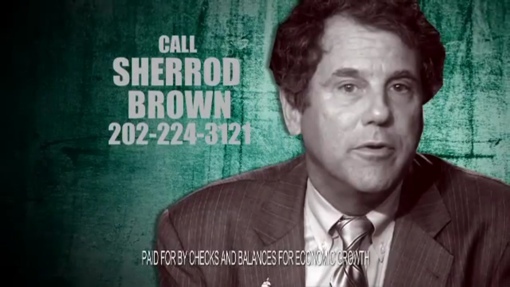 Recently, Democrats on the FEC attempted to investigate a group named named Checks and Balances for Economic Growth, a political action committee that invested nearly $1 million to run Internet ads in 2012 attacking President Barack Obama and Ohio Senator Sherrod Brown (D). Republicans argued the group was protected by “well-established commission rules that free online political speech from FEC regulation.” As is often the case in toxic Washington, D.C., the investigation was struck down by the FEC on a 3-3 party line vote. That vote shut the door on reform this year. Democrats on the FEC vow to bring the issue back up for discussion next year, which could potentially impact that 2016 presidential election. Don’t hold your breath though – any change would require the two deadlocked parties to actually work together to make it happen.